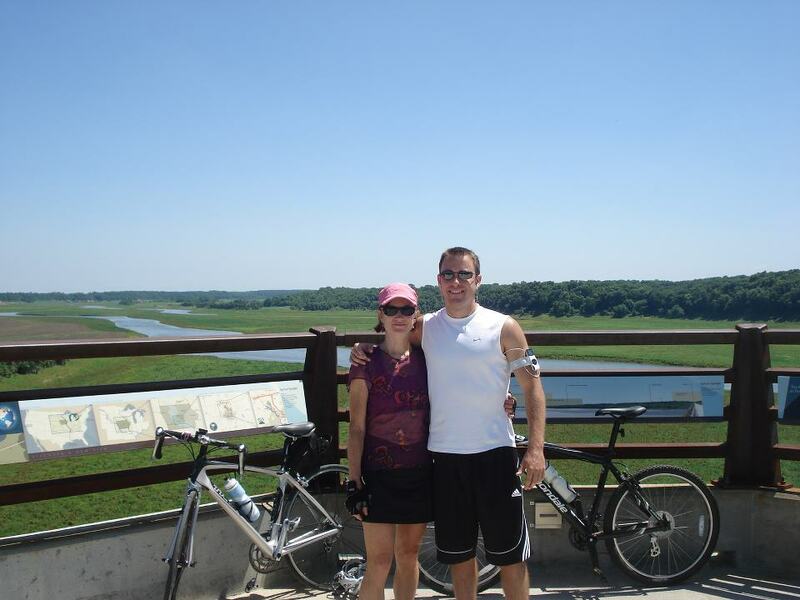 This photo finds my cousins (photo permission obtained) enjoying a bike ride on an incredible trail outside of Des Moines, Iowa. Note the interpretive signs behind them and the meandering Des Moines River. 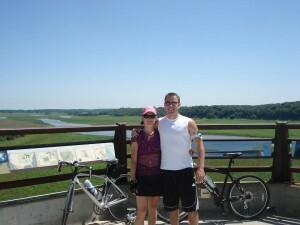 Read more: the High Trestle Trail. Years ago construction of Highway 33 abruptly cut the City of Ventura off from the Ventura River, leading to loss of public enjoyment of the river and decades of neglect of the wonderful resource that is the Ventura River. The goal of the Ventura River Parkway Vision Plan is to bring back long lost recreational opportunities to our river area, while restoring habitat and improving water quality. Regaining convenient access to the river is a component of the Parkway plan so that residents of Ventura and the entire region may enjoy the type of outdoor experience captured in this photo.